You can’t often win your fantasy league through your draft, but you can definitely lose it. If your first round pick is a bust and none of your mid or late round gambles pay off, you’ve got an uphill battle the entire season. We all look at experts, ADPs, and our numerous mock drafts before the season starts to get a feel for how we value players, but once the NFL season kicks off our copious amounts of research can all turn into coach speak, hype trains, horrible sleeper picks, and trusting the wrong back in a committee. When you draft a player, you expect (pray for) him to at least return the value of the round you drafted him in. Meaning, you’d like your second round pick to finish the season inside the top 24 players in fantasy scoring. It doesn’t always workout that way, however, and no early round is safe from producing total busts. 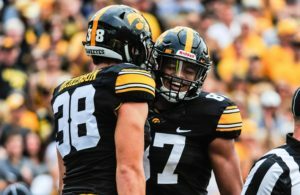 In this article I will go round by round and analyze the best value picks and biggest busts per round, while trying to pick up on any trends that may exist in the draft overall. *My 2017 ADP and finishes are based on a PPR draft and PPR scoring. 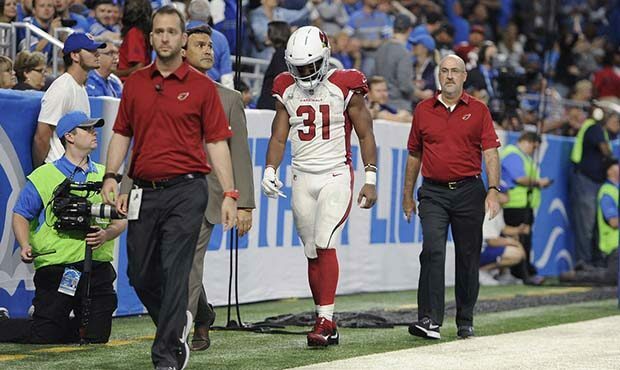 Right off the bat we have our 1.01 go down with a season ending injury in week 1 (for the purpose of this article I will be putting “busts” due to injury in a different category if they were playing well before the injury occured). My biggest first round bust goes to Jordy Nelson because he started the season so hot to get your hopes up, and then he “played” in every single game with Brett Hundley so you had to just stare at his name sitting on your bench. Through the first six weeks he was the WR 6 overall, but then Aaron Rodgers went down he finished the season at WR 46. The best pick of this round was Le’Veon Bell. After a slow Week 1, he did not produce a single game of less than 13 PPR points for the remainder of the fantasy season. He was drafted as the RB 2 and finished as the RB 2. Additional round 1 notes: Julio Jones finished the season as the WR 7 and 14th among all flex players, but if you take week 12 out, he drops down 6 spots to the WR 13. 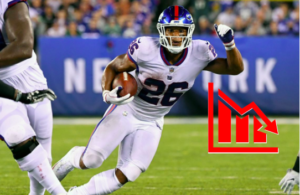 Round two included two of the top RB scorers, but was wrought with disappointment as Murray, Ajayi, Cooper, Bryant, and Hilton were all big time busts. The RB pair were drafted as RBs 7 and 8 and finished as RBs 20 and 36 respectively. I wouldn’t argue with you if you think Ajayi was the biggest bust of round two, but I was low on him in the preseason so I’m going with Cooper. Cooper was drafted as the WR 7, yet he finished as the WR 35 overall and if you take out his wild game in Week 7 he drops to WR 54 on the season. Amari was a guy you had to keep in your lineup because every week was supposed to be “his week”. Coaches and analysts had us believing this would be his real breakout season, but in PPR scoring, the “number 1” receiver on the Raiders only broke double digits in six games (including his second highest output coming in Week 17). It shouldn’t shock you that Todd Gurley was the MVP of this round. Drafted as the RB 10 and 18th overall, he finished as the number one overall scorer in fantasy football (including QBs). He led the league in rushing touchdowns as well as total rushing/receiving touchdowns. He only gave you one single digit fantasy output (against Seattle when their defense was still healthy) and he capped off the fantasy season with a 45 point outburst and a 49.5 point demolition to win you your league. Kareem Hunt was also a great pickup late in round two (finishing 4th among RBs) but he had a whopping nine-game touchdown drought in the middle of the season. The Brown and the former brown really stunk up round three. Isaiah Crowell finished as the RB 30 and 82nd in fantasy scoring among flex players. Terrelle Pryor only played half of the season and 102 wide receivers scored more points than him. On the opposite end of the spectrum, Deandre Hopkins put all his doubters to shame, finishing as the WR 1 (according to most formats) and 6th in overall fantasy points. 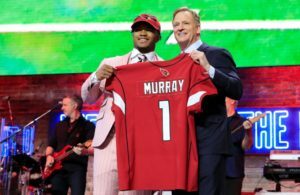 Overall, however, round three had better consistency than the first two rounds as most players came close to or exceeded their draft day value. Through Week 10, Keenan Allen was the WR 26. Then from Weeks 11-14 he put up four straight 100+ yard games and scored four total touchdowns, surging his late season performance that carried him all the way up to WR 3 overall. Through the games that they played, Aaron Rodgers was the QB 4, Dalvin Cook was the RB 9, and Ty Montgomery was the RB 23. Before round four, the only non RB/WRs off the board were Gronk, A-Rod, and Tom Brady. Eight wide receivers were picked in this round. This is where you wanted to grab that last potentially elite receiver to lock up a strong top four picks. The good news is that six out of those eight WRs returned solid value (KB at WR 47, Martavis at WR 48). The argument can be made that Crabtree didn’t return value but in the 12 full games he played he was the WR 15. My MVP of this round is a tie between specialist turned WR 1 Tyreek Hill and the ageless wonder Larry Fitzgerald. They finished at WR 8 and 5 overall respectively. The dud goes to Kelvin Benjamin. Between coming to training camp overweight and being traded to Buffalo where wide receivers go to die, he just barely cracked the WR 4 threshold. the four WRs to close out round 4 all finished as WR 1s with the exception of Adams who missed it by one spot (WR 13). Drew Brees had a “down” season finishing at QB 11 overall. He was a QB 1 but not a QB you should have taken in round 4 this season. Marshawn Lynch was a relatively small bust being drafted as teh RB 19 and finishing as the RB 24. The name that should be glaring at you in this list is the last one, Mark Ingram. Getting Ingram in the 5th round was an absolute STEAL as he finished as the RB 6 overall. People were nervous on draft day with how his situation would play out with Adrian Peterson and what role Kamara would have. After the Week 5 Bye and dealing Peterson to Arizona, orchestrated the best season of his career. Ameer Abdullah really killed a lot of truthers this season. We all knew Riddick was there but this was supposed to be Abdullah’s time to really take hold of at least the early down work. He did not. Drafted as the RB 24 he finished as the RB 39. He even had a couple of healthy scratches towards the end of the season. Round 5 was a pretty big let down in terms of both injuries and poor production. Stefon Diggs started the season on fire and was the number 1 WR through Week 4. He slowed down after his injury but finished strong and ended as the WR 19 still outplaying his 5th round price. Round 6 also had a lot of ugly. Russell Wilson was the QB 1, Zach Ertz was the TE 3, and Jarvis Landry was the WR 4. They were the clear gems from this round. Pierre Garcon was drafted as the WR 31 and was the WR 30 before he went down for the season. Everyone else either busted, got injured, or was busting and then got injured. Jarvis Landry really shocked me this season, and if you managed to scoop him up here, you got far more than what you paid for. He’s always been a popular PPR pick but never got targeted when his team was in scoring position. This year, to go along with his league leading 112 catches, Landry was 7th in the league in red zone targets and scored nine touchdowns. I also love Zach Ertz here. The end of the 6th is a fine spot to grab the 3rd best TE in the league. Many people scoff at the idea of taking a team’s number two RB as early as the 7th round but Tevin Coleman returned his value and more by finishing as a RB 2, aided by his eight total touchdowns. Theo Riddick exceeded expectations as well, and Derrick Henry also produced his worth finishing just four spots behind where he was drafted. The real story of this round is the three busted QBs. After the top 5 QBs were drafted, you had three young gunslingers who were all believed to be on the cusp of a breakout season. They all went in round 7 and none of them finished the season as a QB 1. This is a risky spot to take a QB when you know there will be value later in the draft and you could be missing out on prime flex opportunity. I truly feel for all those who went for the Willie Snead hype. The man caught eight passes all year and only had one game with multiple catches. In the 7th round you definitely start taking some chances, but eight catches? That is brutal. Chris Hogan was the WR 9 overall through Week 8 before he got injured. Getting a top 5 quarterback for an 8th round price is a great deal, and you could have achieved that twice this year. Cam Newton and Kirk Cousins both had question marks heading into 2017 – Cam with his roller coaster, up season down season career, and Kirk with his two leading receivers gone – but you knew the top 5 upside was there, and they both rewarded those who took that chance. The biggest disappointment to me here is Eric Decker. I was very low on him and didn’t own any shares of him, but most analysts and fantasy players were expecting at least a competent season as a feature wide receiver in Tennessee. He was the 37th receiver taken off the board but finished at WR 57. Age is just a number to Frank Gore. he was drafted as the 35th running back but finished as the RB 20. He was an RB 2, just like in every other season that he’s been over 30 years old. Adam Thielen and Marvin Jones were the WRs 8 and 11 respectively. You could have acquired two WR 1s in the 9th round of your draft. This is a testament to how deep the WR position is and is proof that you do not need to go crazy making sure you have two starting receivers in your first four picks. Thielen was top 10 in receptions, targets, and receiving yards, while Jones was top 10 in receiving yards and receiving touchdowns. The bust of round 9, even though he didn’t play a single snap, was Andrew Luck. We were told in the beginning of the Summer that he’d miss the opener. That quickly turned into a month, and then Week 6 or 7, and then he was done for the season. Everyone who drafted Luck thought they’d have him for at least the second half of the season but that pick ended up being a complete waste. Denver Defense was the first defense taken and finished as only the 20th best defense. Don’t take a defense in round 9. Both Rex Burkhead and Jamaal Williams exceeded their draft day value, but you probably dropped them before that happened. Williams didn’t get a chance to shine until Week 10 after Ty Montgomery and Aaron Jones went down, and Burkhead was on the ever revolving merry-go-round that is the Patriots running backs. From Week 10 onwards, Williams was the RB 8 and Burkhead the RB 20. Eddie Lacy is a fantasy football joke at this point. We followed his incentive based weight loss program all offseason but all that work amounted to minimal production. He was the 43rd running back taken and finished with only 179 rushing yards on the season with zero touchdowns. I was a bit generous with my “exceeded value” tag in this round but the three 10th round QBs were the 13th, 14th, and 15th taken off the board and they all finished as QB 1s. In round 11 and on you’re basically throwing darts at sleepers and picking up the best available at any position, so i’m just going to categorize players from now on as “worth it or not”. The only players you’d consider having in your starting lineup from round 11 were Cooper Kupp, Mike Wallace, and Eric Ebron; and they were risky. Kupp did finish as a high end WR 3 in his rookie season and is poised to repeat that role next year in LA’s high octane offense. After a completely barren round 11, round 12 contained fantasy Superstars Alvin Kamara and Carson Wentz. People took fliers on Wentz as their second QB. He was the 17th QB taken off the board, but until he went down in Week 14 he was the second best QB in fantasy. His 33 touchdowns were enough to lead the league (by 4) even without playing in the last three games. Going into next year’s draft, many will question whether or not Kamara will be able to keep up his 6.1 YPC and touchdown rate efficiency. But boy did we reap the benefits of his rookie season. After Week 2 he shot out of a cannon, and then once Adrian Peterson left it was game over. Landing a WR 2 in round 13 is impressive. The Jets were in so much dysfunction before the season that everyone was avoiding all of their players. The thing I kept going back to was that somehow, fantasy relevance was going to come from somewhere on that team. They played a lot better than anyone thought they would and Anderson finished as the WR 17, coming up just short of his first 1,000 yard season. You just never know what you’re going to get with New England’s backfield. All the hype in the offseason was on Mike Gillislee taking over the “Blount” roll. We didn’t know exactly what roles James White and Rex Burkhead would play, and Dion Lewis was almost a total afterthought. Lewis, however, turned out to be the RB to own, coming up with nine total touchdowns and finishing as the RB 15 overall. Mostly defenses and kickers here, as it should be. What we generally see in fantasy drafts is that the further through the draft you go, the less the players are going to “break even”, they’re either going to bust or breakout. You generally speculate through the first five or so rounds that you’re drafting a player that is going to return you that value. Once you get to rounds seven and eight, though, you’re thinking “my sleeper could either bust or totally blow up”. It’s interesting to note that only 43% of all players drafted finished the season healthy and either broke even or exceeded their value, and that percentage did not change in the later rounds. In fact, 45% of players picked in double digit rounds exceeded their value or were deemed “worth it”.